You and your friends who love baseball and hope to prove that your baseball swing can translate onto the golf course. Friday, October 12th as we welcome home our professional baseball friends. Plan to arrive by noon to enjoy a cold beverage and visit the driving range and silent auction table, as well as purchase mulligans and event gear! Tee time is 1:00pm. Join Brent, Mitch and the rest of the BASE by Pros team for our fourth year of fun on the fairways! We’re excited to return to Kayak Point with some new ideas up our sleeves to make this event our best ever! 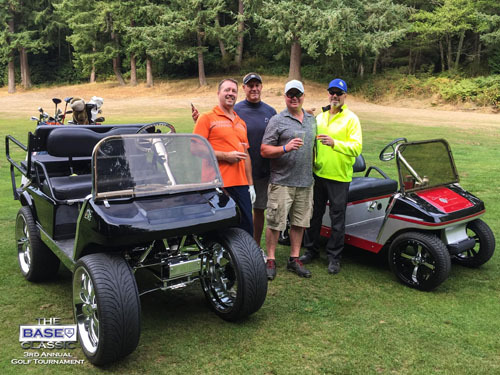 Titled “Swinging for Scholars”, tournament proceeds will benefit Communities in Schools of Whatcom County. A trophy presentation following the event will offer an opportunity to mingle with those on the forefront of the local baseball scene while enjoying some tasty tacos and no-host frothy beverages. Silent auction items are being collected at our Academy in Lynnwood. Enjoy social media shout outs and 1 hour of FREE cage time for every $50 of value (max. 5 hours). 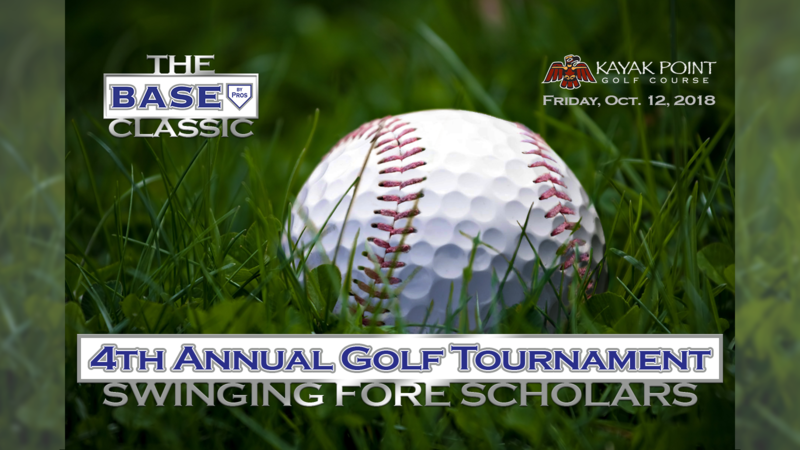 To donate an item or discuss event sponsorship, please contact Jody Bossert at jody@basebypros.com or (425) 200-4448. Download our event flier (.PDF 876KB) and RSVP/Share our Facebook Event. Thanks so much! For more great photos, check out the Facebook albums from both our 2016 and 2017 golf events! No Replies to "4th Annual Golf Tournament (10/12/18)"